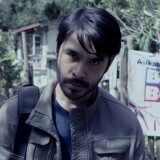 Determined to start a new life, political blogger Jake Herrera (Atom Araullo) – the estranged son of the powerful and corrupt Herrera political clan – returns to his childhood home of Baguio only to find tragedy when he stumbles upon the grisly murder of a student that unveils the city’s dark secrets and reopens Jake’s old wounds. 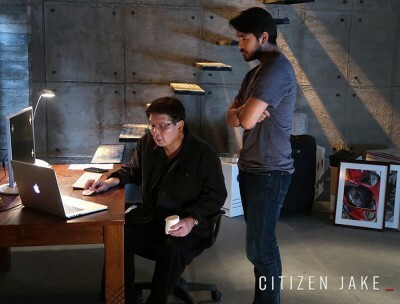 Citizen Jake is that rare kind of Filipino movie that pops up every year before getting unjustly overshadowed by the latest ego project from some hack “celebrity” or whatever ends up in the Metro Manila Film Festival (MMFF). But like its equally rare contemporaries before it, Citizen Jake couldn’t have come at a better time despite it being an imperfect call-to-action and some much needed self-reflection. Calling Citizen Jake “timely” is an understatement. Now when most people would rather shut up and just let things be, Citizen Jake dares to question the powers that be and more. Instead of sticking to the low hanging fruit such as pointing out the government’s obvious callousness, overt corruption and ineptitude, Citizen Jake goes further by questioning the social structures that birthed such social ills in the first place. From the domineering patriarchy to bastardized interpretations of nationalism to history itself, Citizen Jake holds back no punches in its brutal examination of the Philippines. Citizen Jake is also an unapologetically angry movie, and one that’s unafraid to embody the disillusionment felt by anyone who (unwisely) tried to watch the daily news without going insane. This is done through a serviceable story that’s elevated by an exceptional cast of actors who bring their respective characters to believable and relatable life. Anyone who’s been waiting for a wake-up call or a genuine emotion in local media other than saccharine romance will find it in Citizen Jake, which encourages its audiences to take a good hard look at themselves to see what can be done for their ailing country. As a representation of anger, dissent and a validation of people’s growing resentment towards authority, Citizen Jake gets a perfect score. But the same cannot be said if it were criticized as a movie and not just a message, since it prioritized other things over – ironically – being a movie. A movie’s quality is determined not by what it’s about, but by how it’s about something. Simply put, a movie can be about anything but what matters most is how its story is told. This is why I may dislike Heneral Luna’s glorification of a fanatical, militaristic brand of patriotism, yet still regard it as one of this country’s best cinematic efforts from the past decade. The same goes for Citizen Jake, which works as an earnest, heartfelt call to action, but feels like an amateurish student film at best. All the major characters are flat, predictable representations of Filipino society, such as: Jake is the disenchanted middle class (i.e. “Burgis”), the Herreras and their cohorts are the immoral elite, and other characters such as students and the Baguio “pony boys” are the bewildered masses. If you’ve seen one Filipino movie, you’ve seen these stereotypes before. Though everyone in the cast does a good job and while Jake’s conflicted nature is well-realized, their dialogue can only be described as unnatural. This is exemplified best when characters literally stop the scene to explain the symbolisms and/or ideologies they’re obviously meant to represent or in Jake’s case, directly address the audience as if he were in Deadpool 2 or House of Cards in fourth-wall breaking scenes that are more distracting than meta or witty. Unsubtle ham-fisted moral lessons and the strange inclusions of snippets of the movie’s actual production clash with Citizen Jake’s straightforward character-driven drama, leading to uneven pacing and confusing tonal shifts that break story immersion. But since its target audience is made up of teenagers and high school students, Citizen Jake’s simplified narrative and lecturing makes sense, especially if it’s viewed as a classroom lesson. Citizen Jake may pause itself to read a passage from history books recounting the cruelties of the Marcos dictatorship, but it never talks down to people. Just like a teacher would, Citizen Jake breaks into occasional tangents to emphasize a point, share a personal story or lighten up with a quick joke at the expense of certain brainless celebrities-turned-equally brainless politicians. And just like the best lectures from my own student days, the final points and memorable quotes stick, but everything else is disposable decor. Timely as it is, Citizen Jake has a lot of room for improvement. Citizen Jake is inconsistent and it suffers from a severe case of telling instead of showing, but it will definitely leave viewers thinking and questioning by the credits roll. And that alone is an accomplishment few local films can claim to have pulled off. While I appreciate Citizen Jake more for what it represents rather than the sum of its parts, it’s hard not to admire a subversive movie that asks the right questions at the right times. Given the current political climate, a flawed yet brave independent movie that challenges the encroaching darkness instead of being yet another vapid studio-approved pile of escapist crap (brought to you by product placement and some local celebrity’s massive ego) is more than enough.